All students were released to parents, according to the Clackamas County Sheriff's Office. 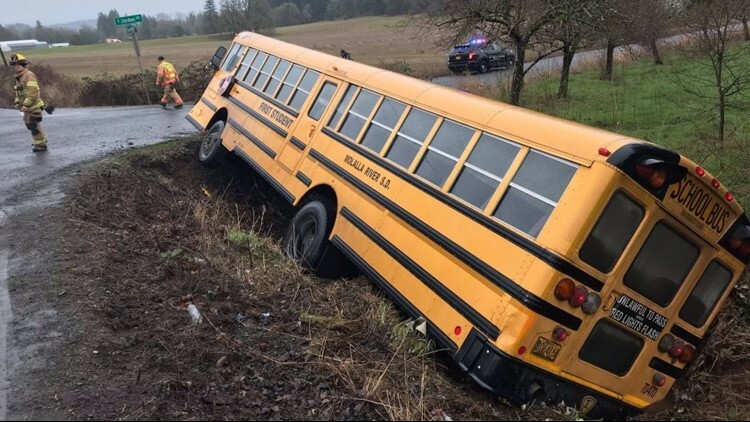 MOLALLA, Ore — A Molalla River School District bus crashed into a ditch in Clackamas County on Monday afternoon. The Clackamas County Sheriff’s Office said one student had a bloody nose and others were sore following the crash. No one needed to be taken to the hospital. All students were released to parents, the sheriff’s office said. The crash occurred on South Union Mills Road near South Jordan Road. No information about what led to the crash was immediately released. The driver was cited, according to the sheriff’s office.